Get organized with Paperlogix document scanner. Capture high quality, paper-white scans with your camera. Easily organize your scans with folders, tags, and convenient drag and drop. Upgrade to Paperlogix Pro to enable automation, text recognition, cloud services, color themes, and more. Powerful automation workflows and rules let you automatically sort, organize, and archive your scans. Snap crisp, clean, paper-white scans with the camera on your iPhone or iPad. Take advantage of folders and tags to organize your scans. Built-in text recognition (OCR) converts your scanned documents to selectable text. Text recognition is performed directly on your device so your documents remain private and secure. Easily view and edit your scans. Non-destructive editing lets you revert back to your original camera images any time. 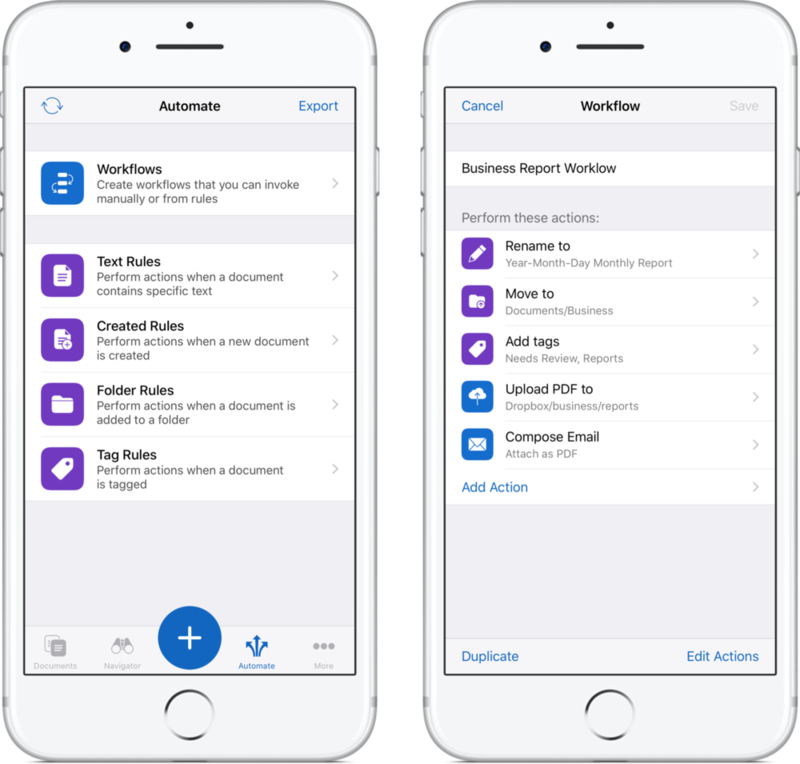 Create your own workflows to automate a series of actions, such as renaming, moving, or uploading documents. 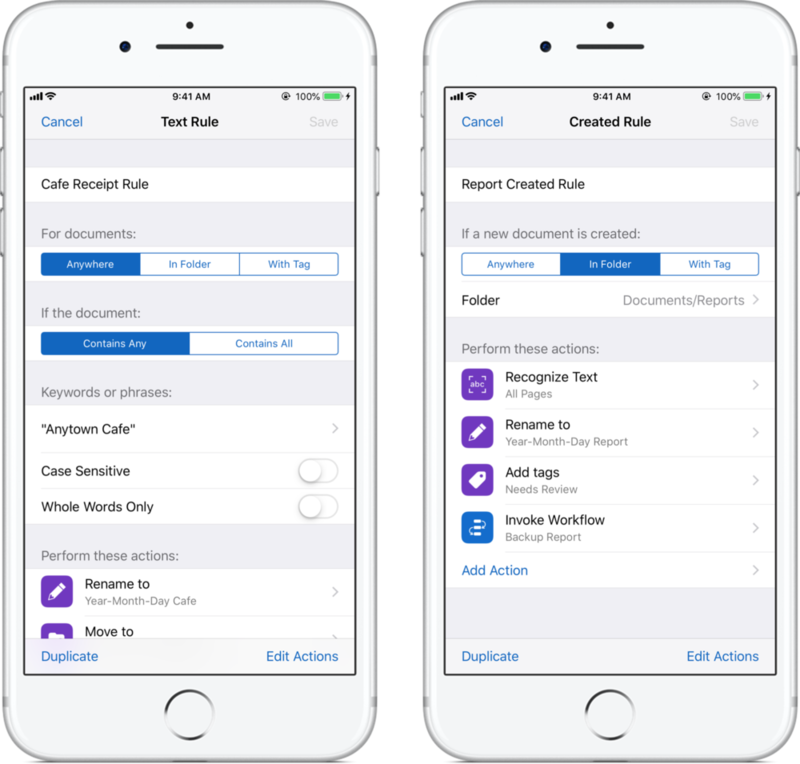 Create powerful rules, including rules triggered when a scanned document contains specific text. Paperlogix automatically performs text recognition to process your rules. Choose from a variety of automation actions for your workflows or rules, including uploading to Dropbox, Google Drive, or Box. Tap the activity button to review the status of all your automation actions. Share your scans to iOS, Dropbox, Google Drive, or Box.